E-testing is a rapidly growing area of e-assessment involving the delivery of examinations and assessments on screen, either using local systems or web-based systems. An e-test is any test that replicates or replaces paper based tests with a computer screen, also referred to as on-screen tests. This involves the transfer of paper tests to computer with little or no change to their appearance on paper. Any one qualification may employ one or any combination of methods to take e-testing to the computer screen. This may include variations that could not be easily replicated on paper, such as video or audio clips, and animated quizzes. Further possibilities for e-testing include the use of full ICT interactivity. This often uses ‘virtual situations’ requiring the candidate to process information to arrive at the required solution. E-testing arrangements have been well developed by some awarding bodies. 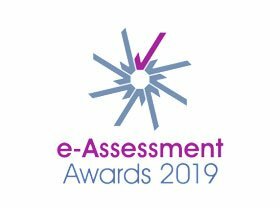 Centres should refer to any specific guidelines produced by awarding bodies by whom they are approved (or intend to become approved) to offer e-testing, as well as using the resources offered in the toolkit. One of the key benefits of e-testing for centres and learners is that test data is sent immediately to the awarding body or examiner, and results can be given immediately via an automated marking system. E-testing offers greater flexibility allowing learners take their assessments at any time when they are ready to be assessed and not just at a point in time dictated by examinations and awarding bodies. The flexibility of location and test times, leads to greater learner engagement. Reduced paper usage and less administration time adds to the cost saving benefits of e-testing. Listen to the speakers in the video below on their views on how technology can enhance the assessment process. Viewpoints on e-Assessment from Kenji Lamb on Vimeo. Examine the stages in the Journey of Evidence – for more information, follow the links in the menu on the left. There are a number of principles that need to be followed to make sure that the general environment is suitable for conducting e-testing. These may be supplemented by specific regulations required by the awarding body. In order to prepare for an e-test, there are 4 areas that need to be looked at: Awarding Body; location and equipment; materials preparation and preparing your candidates. There are procedures for running and invigilating an e-test session which are provided by the awarding body. Awarding body processes and procedures for provision of certificates will vary according to the specific e-test so centres will need to ensure that they are aware of these, in order to keep candidates informed of the arrangements.